Steve McSwain of McSwain Guitars is part of the Starlingear crew and featured in the Starlingear Collaborators movie where you get a glimpse behind the scenes of his amazing work. Steve has been handcrafting his completely custom instruments for some of the biggest names in music for years. 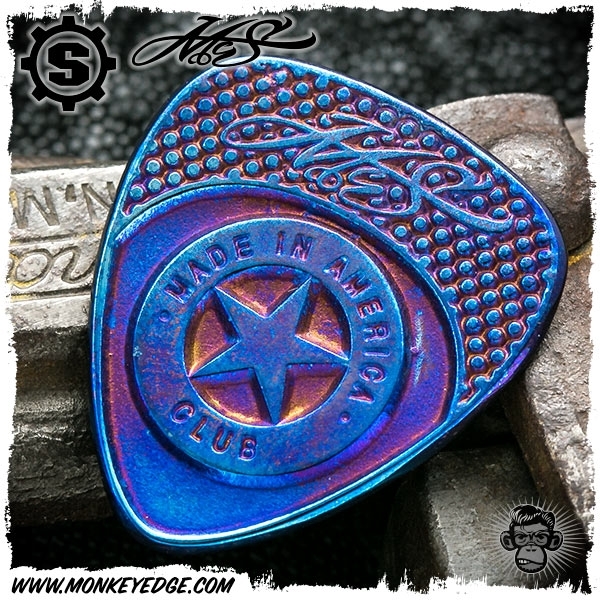 Ryk Maverick of Starlingear has an inherent appreciation for handcrafted goods and has teamed up with McSwain on a series of Starlingear/McSwain guitar picks. Each one is panstakingly made in the Starlingear shop. These are more than just good looking picks, they are ready to play! The back of each pic has been given a subtile texture for grip. Additionally, the tip has been given a light polish where it would meet the strings. 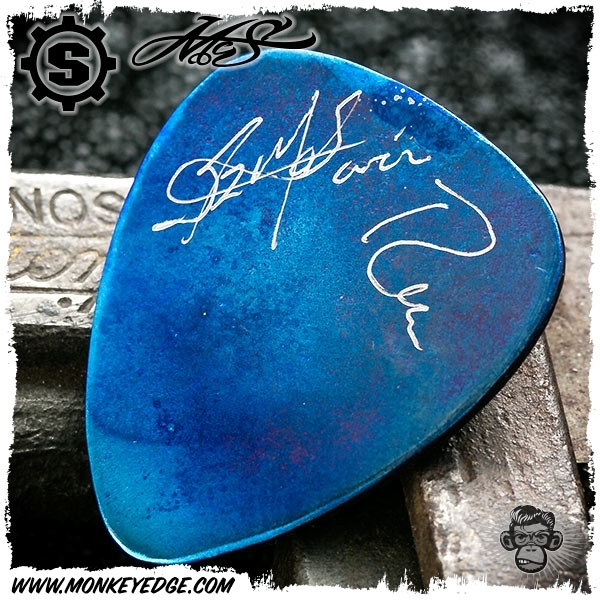 Each is accompanied with a hand letter pressed certificate of authenticity signed by both Steve and Ryk. These guys ain't just for looking at, they are in the use by real rock guitar Gods that are awesome. 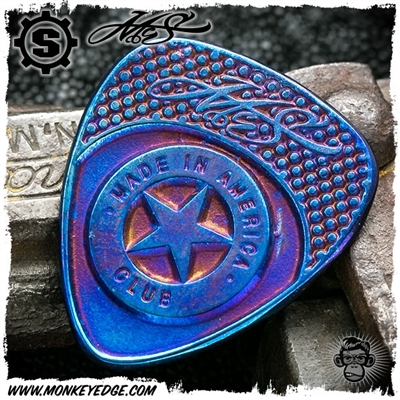 McSwain and Starlingear: American craftsmen ready to help you dole out some real American rock! McSwain Guitars Collaboration with Starlingear from Kimo Easterwood on Vimeo.